Burning Passion's Leather Poi Handles are a wonderful set of grips for your set of poi. 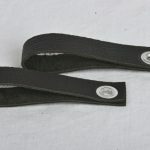 They are made from soft leather that is really durable and strong so it will not stretch over time. At 5 inches (13 cm) long and 1 inch (2.5 cm) wide, our handles are the perfect size for rocking your poi all night long. We use a zinc plated grommet to secure a rigging point for your poi chain at the bottom of the handle. 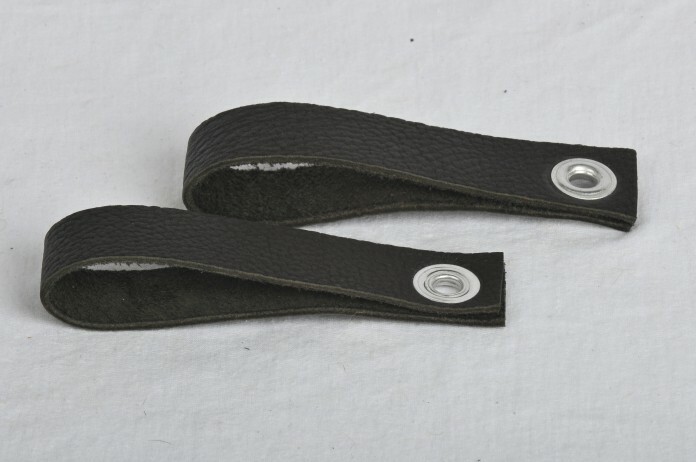 Use the drop down menu below to choose between single or double loop Leather Poi Handles. 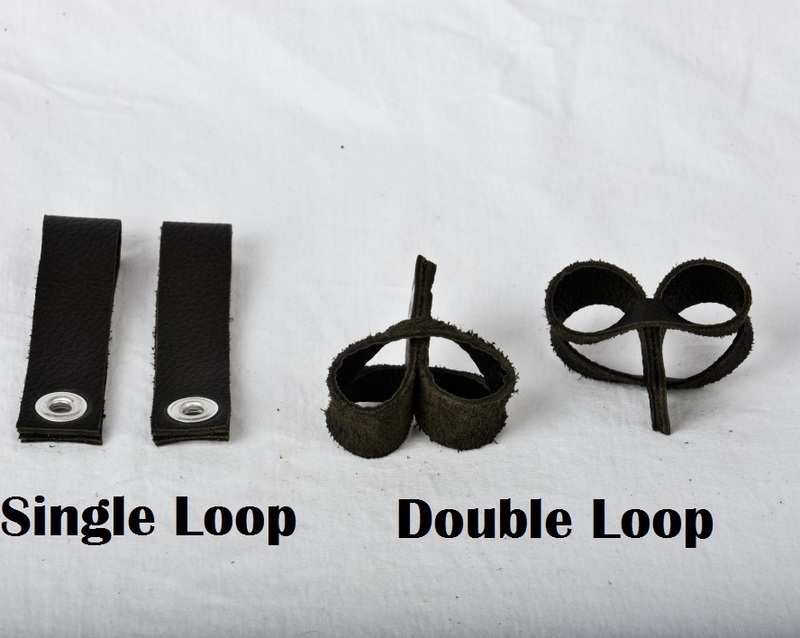 The double loop handles can be turned inside out back into a single loop making it easy to switch back and forth.